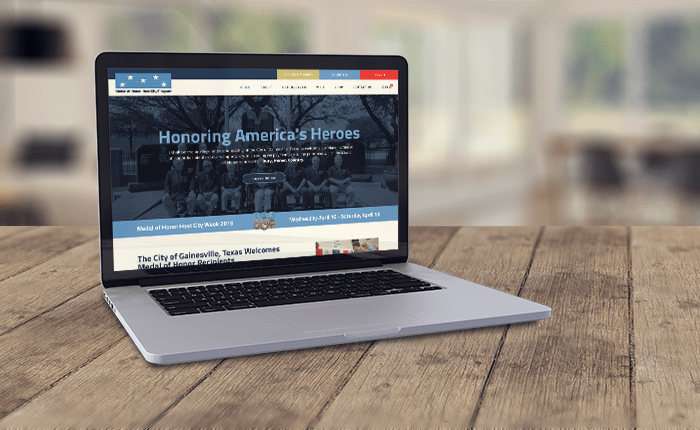 Medal of Honor Host City approached OGAL Web Design to re-design their out-of-date website. The completely new design features an updated look, an e-commerce store, volunteer registration and much more. The Medal of Honor Host City Program is a fantastic non-profit that hosts Medal of Honor recipients in Gainesville, Texas and is one of the only events of it’s kind- garnering National attention. We appreciate all your hard work getting the website created and live for our program. Your dedication to this project was great start to finish. Thanks Kyle!